Searching for a new car, truck, or SUV for sale in Brookings? 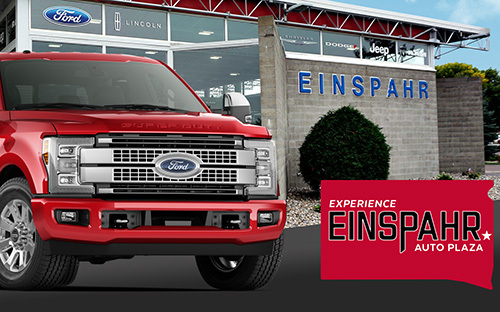 Shop Einspahr's huge selection of new Fords, Lincolns, Chryslers, Dodges, Jeeps, and RAMs! Why Buy New from Einspahr? When you're considering purchasing a new vehicle, you want to purchase from someone you trust. We get it. 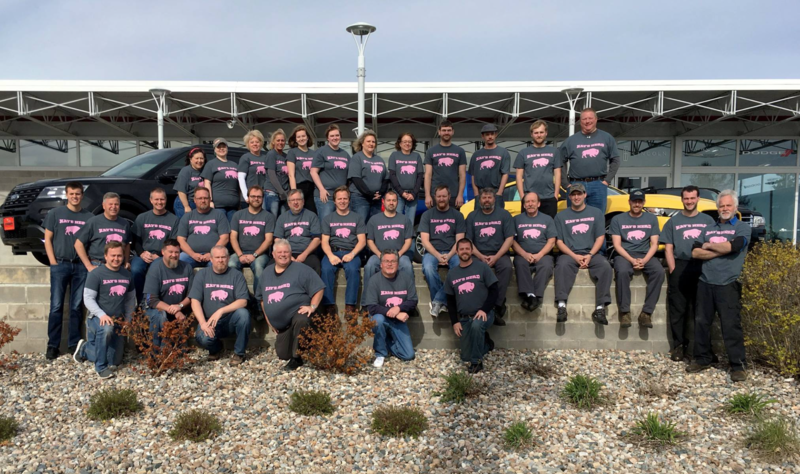 In addition to having the best selection of new cars for sale in Brookings, the Einspahr team works with you to make sure you're comfortable during the car-buying process. We achieve this by being honest, prompt, and courteous in everything we do. Why Buy New in the First Place? While we won't discredit our quality used cars for sale in Brookings, buying new has many benefits. In addition to the new car smell, you'll enjoy the latest technology, advanced safety features, and fuel efficiency sure to outperform older models. When you buy new, you'll also feel confident knowing that there is no wear or tear on your new ride. No need to worry about the previous owner failing to regularly service your vehicle! Can I Afford a New Vehicle? Purchasing a new vehicle can be overwhelming. Car shoppers in Brookings often find that the financing aspect of purchasing a vehicle to be the most difficult. Just because a vehicle is new, doesn't mean you can't afford it! Between factory rebates, incentives, trading in your vehicle, and Einspahr's outstanding finance department, we do our best to help you afford the new car, truck, or SUV of your dreams! You can also check out our free online payment calculator tool to get an idea of what your monthly payments will be based on the vehicle you're interested in. Conversely, you can enter your desired monthly payment and the calculator will determine the price of a vehicle you can afford. Okay, enough talking. Shop the area's best selection of new Fords, Lincolns, Chryslers, Dodges, Jeeps, and RAMs for sale in Brookings right here at Einspahr Auto. Have questions while shopping? We're happy to help! Contact us or stop by the dealership to get the answers you need while shopping for new cars, SUVs, and trucks for sale in Brookings.